Here at PearlFection Dentistry Frederick Maryland - our goal is to keep your teeth healthy and your smile bright. As our name suggests we strive for perfection in every aspect of our practice and patient care. Both the dentists and the staff are totally committed to this pursuit of excellence including all areas of patient care, utilization of the most modern procedures and equipment, a comfortable and friendly environment, respect for our patients’ time and empathy for their feelings. We strive to provide absolute comprehensive dental care, with our team of general dentists, hygienists, oral surgeons, orthodontists, periodontists, prosthodontists, endodontists and emergency care dentists and team members. The Best Dentists and Dental Team in Frederick! We know we might be a little bit biased, but don’t take our word for it! 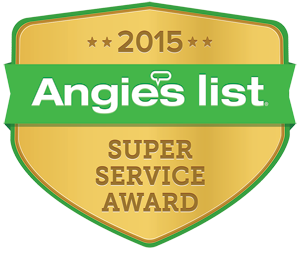 PearlFection Dentistry is the only dentist in Frederick to receive the Angie’s List Super Service Award and we did so for two years running! We have maintained a 5-star rating on Google for over 5 years and we have more reviews than any other dentist in Frederick and we believe we have more reviews than any dentist in Maryland! It is a PearlFection policy that we never pay for or give any type of compensation to a patient to write a review, except a thank you. Read our glowing reviews or leave one yourself here. Since 1977, our practice has been working to provide the best dental care for patients in the Frederick, Maryland area. Throughout the years, our doctors' experience in dentistry coupled with genuine concern for their patients has helped them to build and maintain a fantastic reputation and loyal clientele throughout Frederick and beyond! Another essential element of our concept of care involves excellent doctor/patient communications. It is most important to assist the patient in understanding both the cause and effect of any problem so that future difficulties can be avoided. Patients are encouraged to make the doctor or staff aware of any questions that may arise. You can also connect with us through social media to stay up to date on our latest news, receive info on oral health-related topics, and let you know about things we think you will be interested in. Like us on Facebook, follow us on Twitter, or add us to your circles on Google+! This website provides you with an overview of our practice and the field of dentistry. As you navigate the site, you'll find information about PearlFection Dentistry's practice philosophy, our Frederick office location, insurance policies, appointment scheduling procedures, as well as a host of useful educational material on dental procedures and oral hygiene. We believe informed patients are better prepared to make decisions about their health and wellbeing. Feel free to contact us or call us at (301) 663-5550 with any questions you may have. You can also request a dentist appointment by clicking here. We look forward to serving you! The Best Dentists in Frederick Maryland!